Edited by Elizabeth Crawford. . Themes from Verdi’s opera Un Ballo in maschera, have been prepared for clarinet and piano. This new edition for clarinet and piano was assembled and edited by Elizabeth Crawford. A great challenge for the clarinetist and an excellent showcase for your recital. This piece is on the NYSSMA solo and ensemble list. 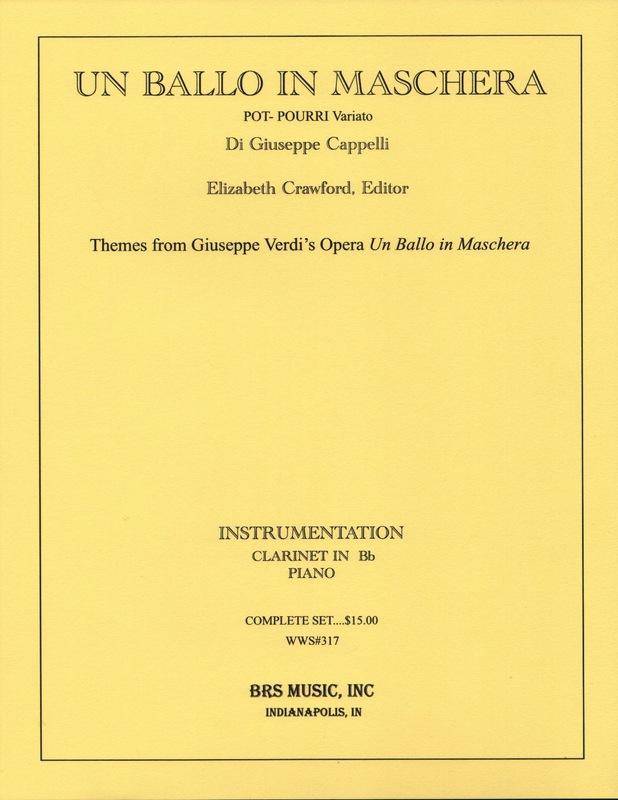 Download PDF sample pages Un Ballo In Maschera, Pot-Pourri Variato.